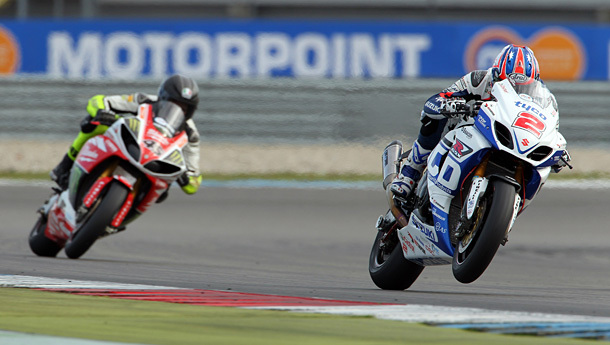 Alex Lowes (above) claimed his second consecutive Assen pole position in the first round of the MCE Insurance British Superbike Championship Showdown at the Dutch circuit as the Samsung Honda rider fired ahead of standings leader Shane ‘Shakey’ Byrne. Lowes had set the precedent across free practice and as his rivals all upped their pace it wasn’t enough to keep him from the top spot, although Byrne pushed him all the way to set his first lap of the weekend 1m:36s barrier. 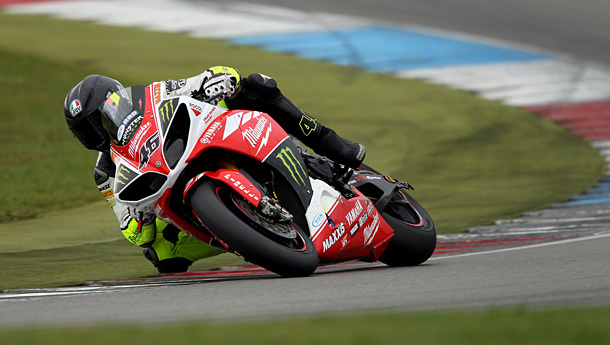 The leading two Title Fighters locked out the first two grid positions but a stunning lap from Tommy Bridewell on his first qualifying performance with Milwaukee Yamaha saw him claim his first front row start of the season, edging out team-mate James Ellison who heads row two of the grid. Tommy Bridewell with his first front row start of the season. Padgetts Honda had their best qualifying performance of the season as Jakub Smrz set the fifth fastest time to break the Title Fighters as Australian Josh Brookes improved his pace but could only complete row two in sixth. Ryuichi Kiyonari was the fifth of the Title Fighters as he qualified seventh on the second of the Samsung Hondas ahead of James Westmoreland on the Buildbase BMW. Dan Linfoot was the fastest of the Lloyds British GBmoto Hondas in ninth as he moved ahead of Jon Kirkham who completes the top ten. It was dissapointment for PJ Jacobsen who was unable to start Q2 with a technical problem despite having the potential to challenge for the first two rows of the grid.